This week in Create-A-Thon 2017 - Urban Sketching. I have, in the past few weeks, been carefully putting together an urban sketching bag with essential supplies that I might want to use without carrying too much. I've found a light weight stool and had thoughtfully chosen which sketchbooks I wanted to carry. I have been a member of two Urban Sketching Facebook groups for a little while and I finally got up the nerve to join in on a meet up for each of them this past weekend. On Saturday, I joined Harrisburg Sketchers at Fort Hunter Park along the Susquehanna River for a beautiful autumn morning of sketching. After completing two sketches, I introduced myself to a few of the other sketchers and enjoyed a couple of conversations about sketching, art materials and looking at sketchbooks. 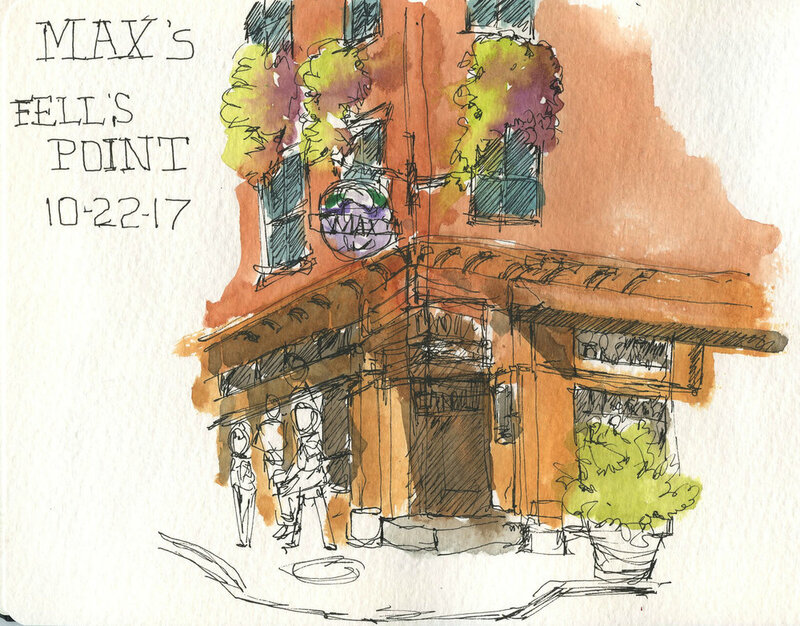 On Sunday, Isaac joined me to meet up with Urban Sketchers Baltimore in Fells Point. Isaac had intended to work en plein air in oil, but was unable to find a suitable subject. I was able to meet a fellow sketcher in person that I had communicated with on Instagram. After completing a couple of sketches, I talked to some of the other sketchers, but was not able to stay to have lunch due to a prior commitment. 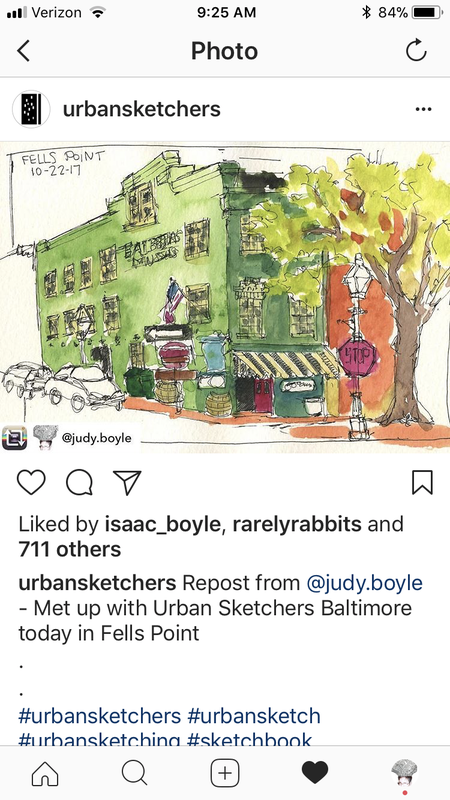 I was excited that Urban Sketchers Global later reposted my favorite sketch of the day on their Instagram account. 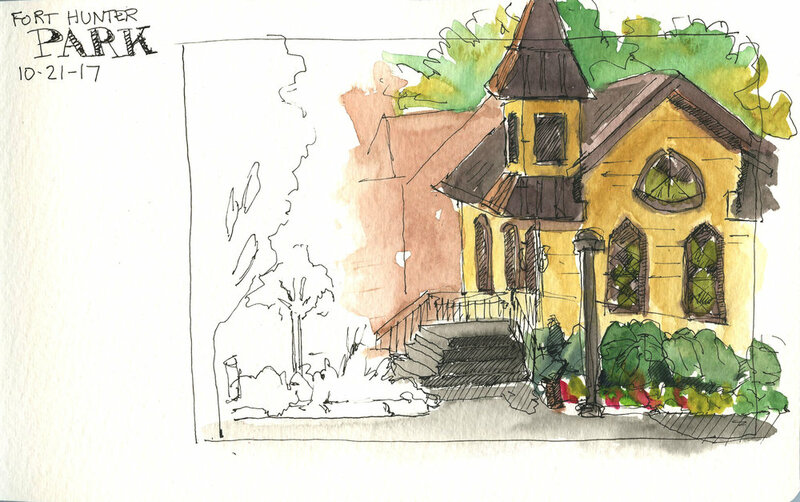 It was a great weekend to get outdoors and try Urban Sketching, and meet new people. I'm looking forward to future events with both groups in the coming months. I think I might sketch outdoors on my lunch break until the weather starts getting colder.